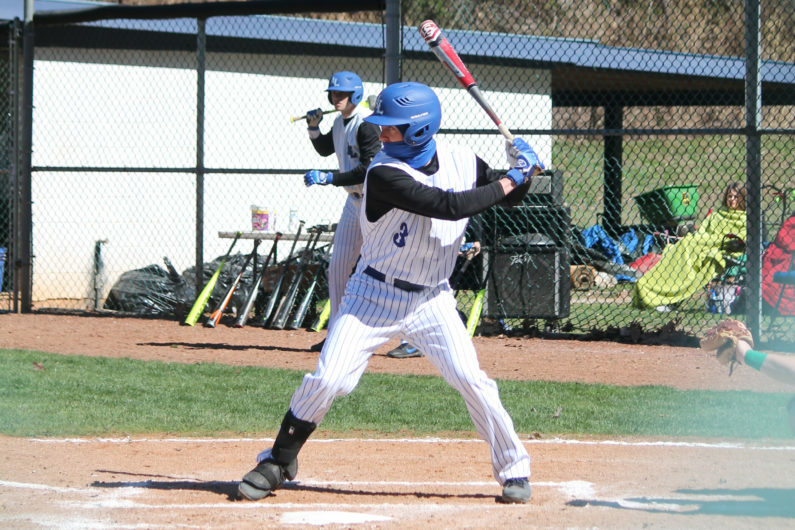 HAMILTON, OH – The Alice Lloyd College Eagles baseball team traveled to Miami-Hamilton for a two-game series on Thursday. Below are recaps of each contest. The Eagles saw Dalton Cornett single in the first inning, but he was left stranded on base. He would single again in the fourth inning and advance to third with only one out, but unfortunately, was not driven in. The pitching was solid and the contest remained scoreless until the bottom of the fourth when Hamilton scored 1 run on a double and a single. They would add an insurance run in the bottom of the sixth on a lead-off triple and a wild pitch. ALC then went down in order in their last at-bat. Game 2 started well for ALC as Dalton Cornett doubled and later scored on a wild pitch for a 1-0 advantage. Miami tied things one inning later on a sacrifice fly, and later took the lead on a second sacrifice play. The hosts broke the game open in the third inning on a single, a walk, an error and a big double. When the dust settled, 4 runs had scored to make the score 6-1, and MH closed the game from there. On the mound, Brad Kunkle earned the win allowing 1 run on 3 hits over a five-inning span. Wyatt Crisp suffered the disappointing loss as he went 2 2/3 innings, allowing only 1 hit and 5 earned runs. He walked 3 and struck out 2. ALC actually outhit their opponent 4-2, but could not muster the big hit when needed. Hayden Martin went 2-3 with a double and Dalton Cornett and Chance Cornett each had 1 hit.